This is a low resolution digital photograph of a large format pencil drawing. It is a view of a mute swan swimming in Lost Lagoon, Vancouver. The mute swan is distinguished from the indigenous swans by its orange beak, and by swimming with its neck in an "S" shape. 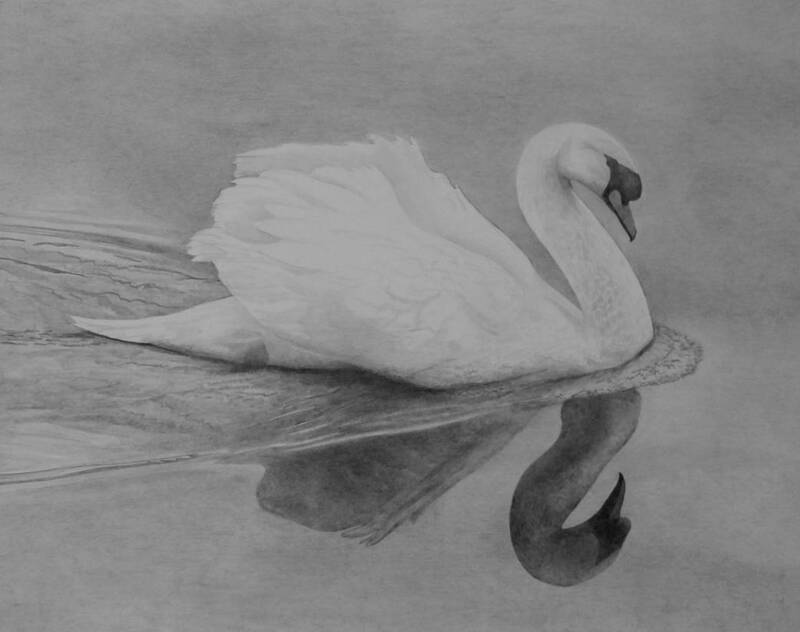 The drawing is archivally matted in Crescent 1607 4-ply matte, in an OPUS metal exhibition frame. The image is drawn in HB pencil on a 20" by 26" sheet of BFK Rives 185gsm paper from France.